We’re not big romantics here at Booze Nerds, but we still like to throw ourselves into the spirit of any holidays that come our way. Never decline a chance to celebrate, right? So we felt it was only right that we do a take on what we would consider to be a proper Valentine’s Day cocktail. 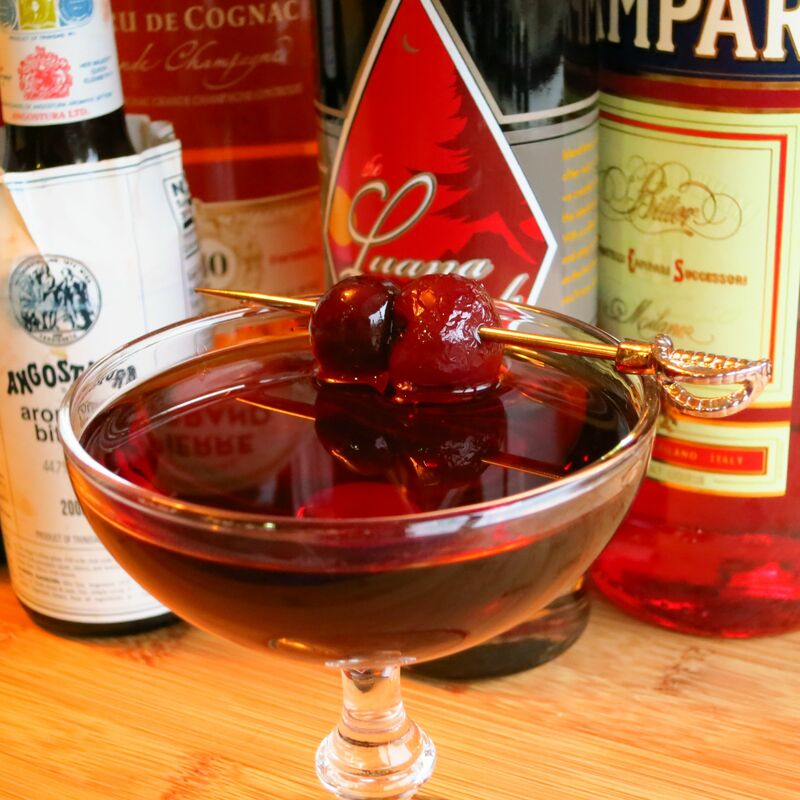 Stir with ice, strain into a glass, garnish with a cherry. Nose: Cola, horehound candy, caramel-y oak. Fainter notes of black cherry and coffee, plus a hint of meatiness, kind of like bacon. Palate: A lot going on. Bittersweet cherry/berry on the start, with some oak and cola as well. Caramel on the mid-palate along with a big hit of coffee and some spice from the bitters, then mint and horehound notes from the Punt e Mes. Smoky, bitter finish, drier than you’d expect. For Shaun, a final punch of sweetness after the original dryness of the finish. Whether you are single or paired, a romantic or not, we hope you’ll give this one a whirl on Valentine’s, or any day really. In the meantime, get off our lawn! 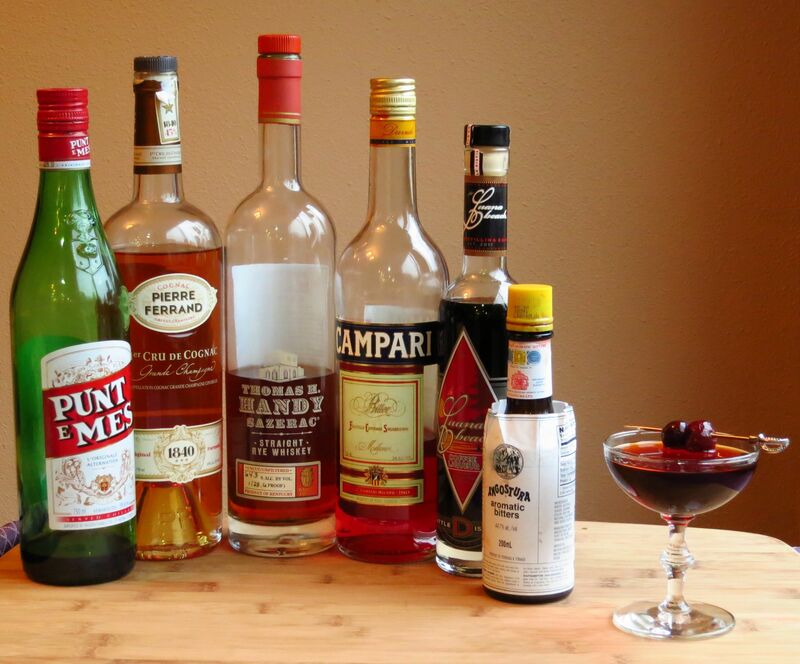 This entry was posted in campari, coffee liqueur, cognac, punt e mes, rye and tagged my black and bitter heart cocktail recipe, vday2014. Bookmark the permalink.